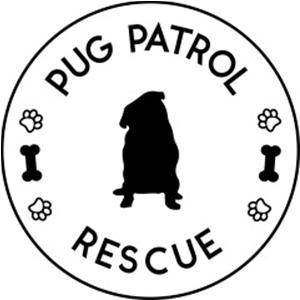 It is Social Pug Profile time again and this week I am very excited to have the wonderful Rocco here for you all get to know. 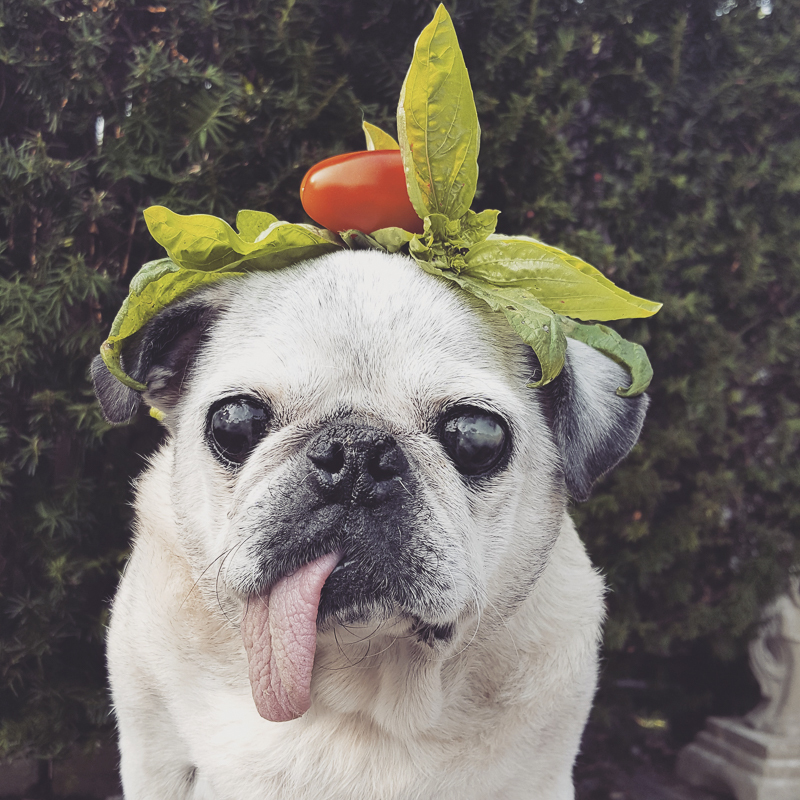 Rocco is the oldest pug to feature in the Social Pug Profile series so far at 15 years. So if you haven’t met Rocco yet, now is your time to get to know Rocco very well. When I see my momma get ready to go upstairs to bed – I am so happy because I know we will have at least 8 hours of snuggle time all night long! I am cray cray over rotisserie chicken! Even if I am dead asleep, when momma brings it home, I wake up and start running around in circles! I have a bedraggled little stuffed bear that was my human sister’s and it’s been mine for many years and it’s smelly and worn out but I love it, and we call it Baby. Do you even have to ask???? Momma, momma, momma!!! I’ve been known to lift my leg and pee in the house, but shhhhh don’t tell anyone!!! I am always in a good mood and ready to snuggle! Basically, if I’m not eating or going out for a walk in my stroller, I am napping! And then it’s time for bed – I can sleep for about 10 hours straight thru at night! I am NOT a morning pug! I love the way you wear so many awesome different pieces of headwear. How many do you have and what is your favourite piece? I must have at least 15 hats, and if you count headbands as hats, then I have over 30! 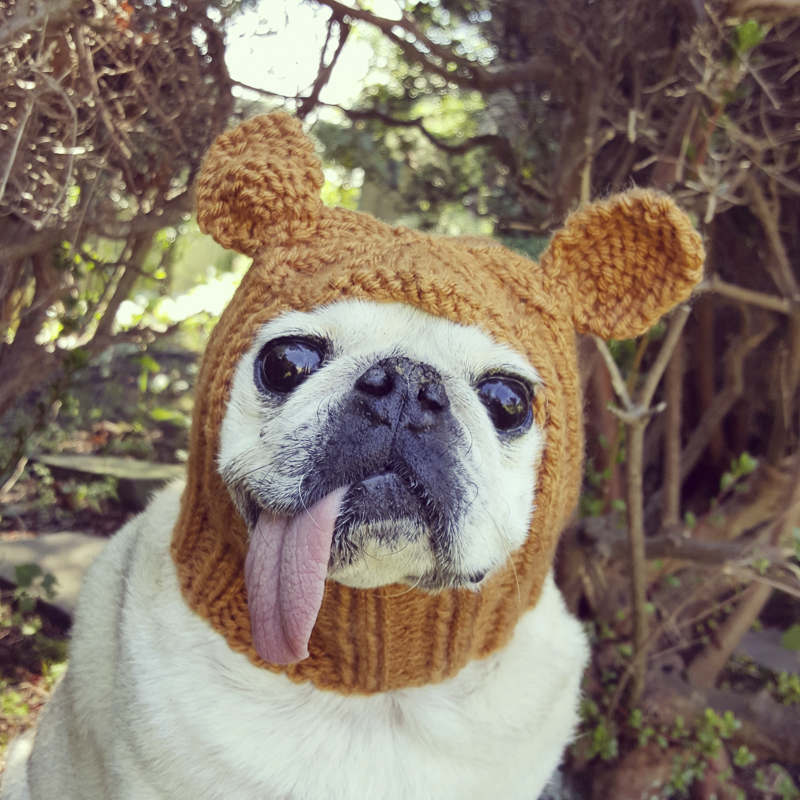 I think wearing something on my head makes me look young and dapper! I also love wearing flower crowns! I really don’t think I can pick a favorite, but I get a lot of use out of little sparkly fedoras from Party City that only cost $1 and come in many colors and patterns! 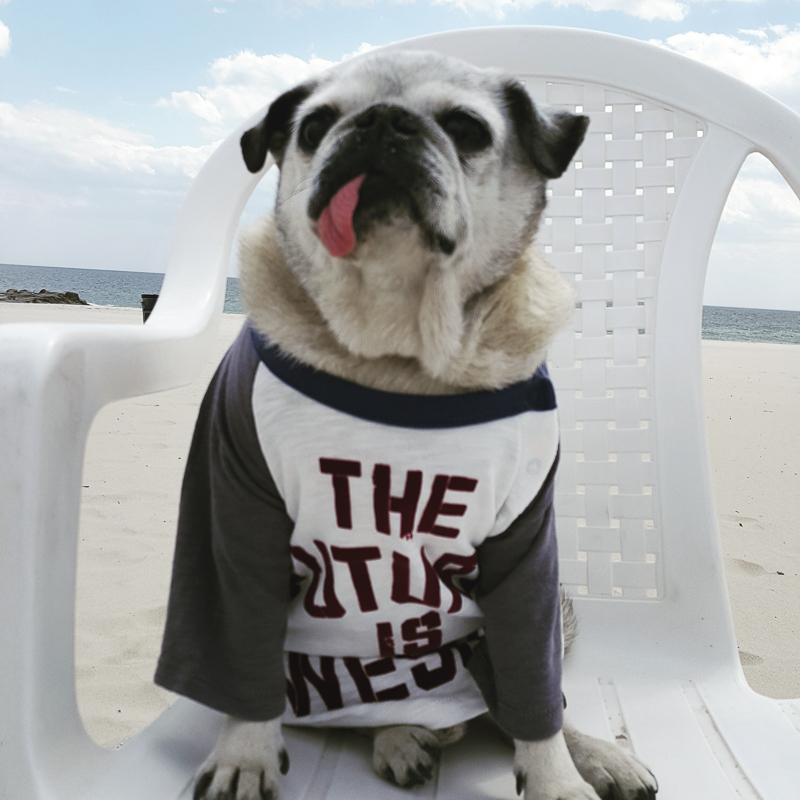 What is life like in New York for a pug and what do you enjoy most about living in New York? I live about 20 miles outside of NYC and my life here is all about the beach! The Atlantic Ocean is a block away from my house so I consider myself a beach bum pug! My favorite thing about NY is the change of seasons because I get to wear a lot of different types of outfits! 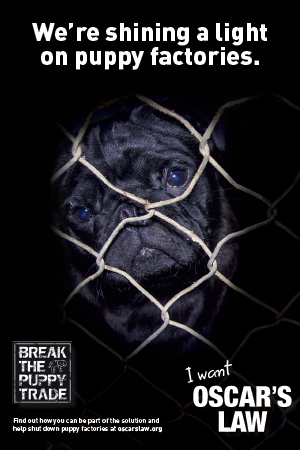 I hope you have enjoyed getting to know Rocco and be sure to leave a pug love note for him in the comments below. Thank u Ref and Kristy for such an honor!!!??? 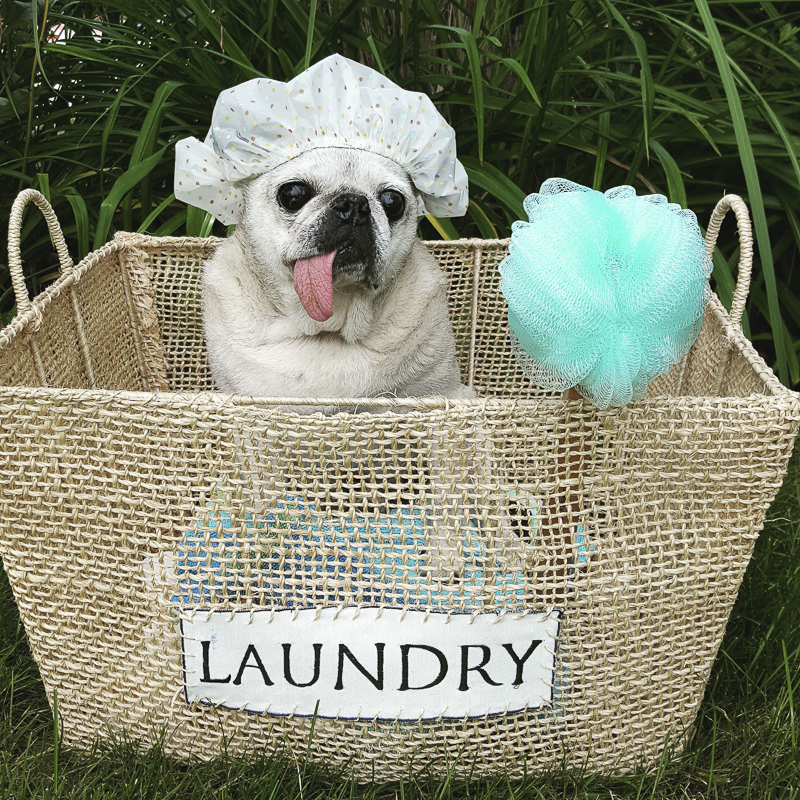 Such a pleasure to have you part of The Pug Diary family. How wonderful to hear such a lovely story about an oldie doing so well! Loved the pics and what a great place to live – certainly a recipe for longevity (along with such adoring caretakers of course too). We wish you well! 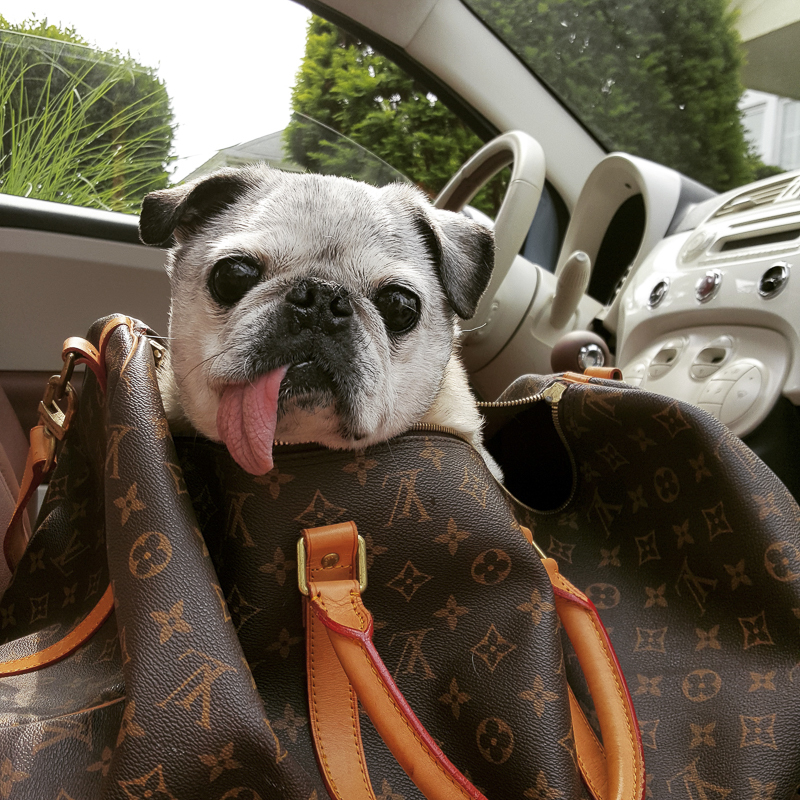 Every day is a gift with this super sweet senior pug! Thanks for your good wishes! ??? Rocco, my man! You are a superstar that inspires pugs around the world with your happy smiles every day, your amazing disposition, and your friendship to many. Hope to see you again soon buddy! Hi Rocco! Love you man, your such a cool dude, love seeing your great pics !”Your handsome face and and funny pics make our day!! ?